The Livingston High School girls’ varsity basketball team defeated Science Park, 45-25, and CedarGrove, 34-26, to improve its record to 12 wins against two losses. The Lancers lead the Independence Division of the Super Essex Conference with a 9-0 record. 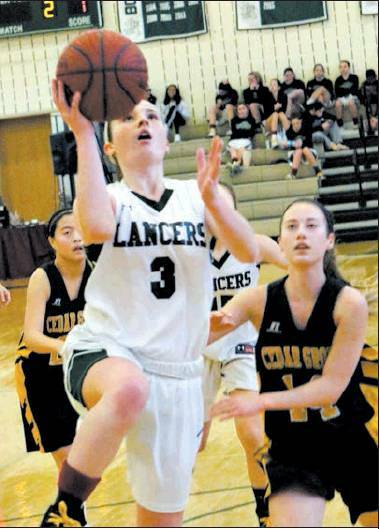 Shown here, Lancer guard Sara Cullen, #3, jumps to score against the Panthers of Cedar Grove. The Lancers won the battle for first place, 34-26.